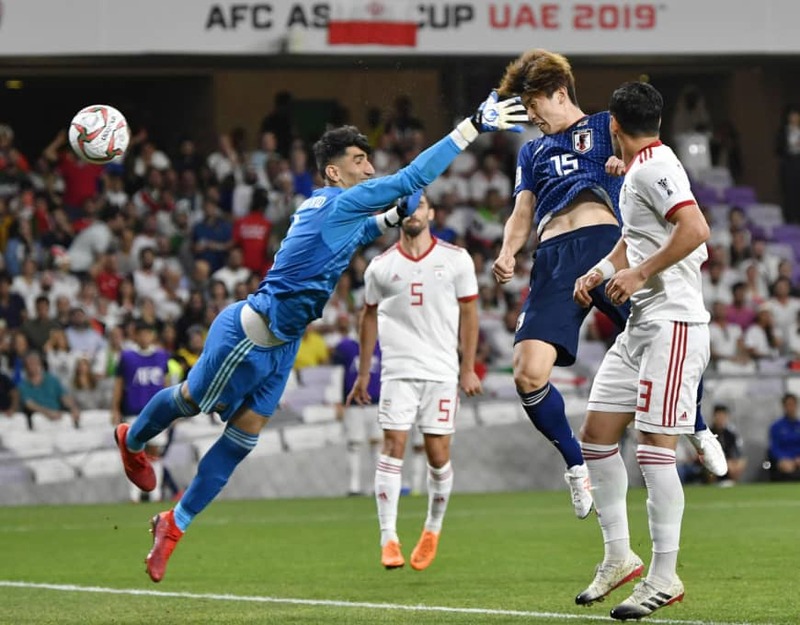 AL AIN, UNITED ARAB EMIRATES - Striker Yuya Osako netted a second-half brace as Japan advanced to the Asian Cup final with a 3-0 win over Iran on Monday. The Werder Bremen forward made an emphatic return to the starting lineup at Hazza Bin Zayed Stadium, scoring in open play before netting a second from the penalty spot. Winger Genki Haraguchi hit Japan’s third in time added as the four-time champions finally displayed their attacking potential after reaching the semifinal in less-than-convincing fashion. With the victory, Hajime Moriyasu’s squad maintained its unbeaten record at the tournament and set up a meeting with either host United Arab Emirates or Qatar in Friday’s final for an unprecedented fifth title. The two Middle Eastern sides will face off Tuesday night for a spot in the decider at Abu Dhabi’s Zayed Sports City Stadium. Osako, who has been sidelined with a gluteal injury, opened the scoring 11 minutes after the break, netting with a glancing header off a cross from Takumi Minamino as Japan capitalized on an Iranian defensive meltdown. Salzburg attacker Minamino went to ground under a challenge from defender Mohammad Kanani but continued with the play after Australian referee Chris Beath called play-on. But the Iranian defense had already come to a standstill, with several players arguing a nonexistent foul call as Minamino ran to the left corner and whipped a cross to Osako. “I saw the defender had stopped running and Osako was in place and he put it away,” the 24-year-old Minamino said. Osako doubled the lead from the penalty spot 11 minutes later after Iran defender Morteza Pouraliganji committed a handball inside the area. The video assistant referee confirmed Beath’s initial ruling that Pouraliganji deflected a cross from Minamino with his arm. 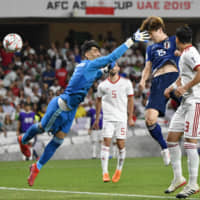 Osako made no mistake with the spot kick, sending Iranian ‘keeper Alireza Beiranvand in the wrong direction with a shot into the right of goal. Haraguchi added the exclamation in the first minute of injury time with a breakaway solo goal, outrunning his defender and beating Beiranvand from the left of the box. Moriyasu said the final score did not reflect the reality of a closely fought match in which Iran took 11 shots, three on target. “It was 3-0, but it was a much tougher game than that. We were competing hard from the start, and we kept at it,” the 50-year-old manager said. “Now, we have to keep going like we have, prepare well for the final and give it our all,” he added. Iran, which reached the semifinal without conceding a goal, came into the match aiming for its first continental trophy since 1976, when it claimed the last of three consecutive titles. 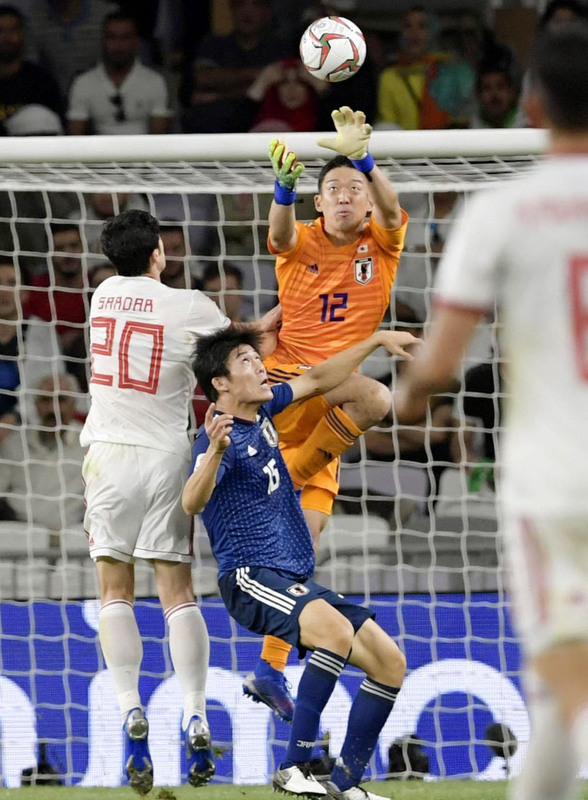 Japan had looked dangerous on the counter in the early stages, but as the first half progressed it was the Iranians who began ramping up the pressure. 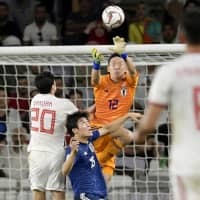 Carlos Queiroz’s men almost went ahead in the 23rd minute after Japan surrendered possession in its own half, with striker Sardar Azmoun skinning two defenders and forcing a save from Japan ‘keeper Shuichi Gonda with an angled shot from close range. Team Melli’s forays into Japanese territory were mostly contained, however, with the center-back pairing of captain Maya Yoshida and 20-year-old Takehiro Tomiyasu solid under the high ball. As Iran’s chances of victory slipped late in the game, so did team discipline, with the West Asians instigating a number of confrontations. But with their sights set firmly on Friday’s final, Japan was determined not to lose any players to suspension, according to Yoshida. “With the final coming up, it wouldn’t do to get anybody sent off, so I had to go out there and keep a cool head,” the Southampton defender said.